FAU team members were the winners of the CFA Global Investment Research Challenge regional finals for 2016. The team represented FAU and the State of Florida at the CFA Nationals. The students below are part of the 2016-17 Financial Analyst Program. Joel Arrington was born in St. Louis, MO. 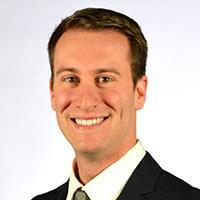 He is a scientist at heart with an underlying passion for finance and investing. Joel recently graduated with his Masters of Business Administration Degree in Finance and holds a Bachelor's of Science Degree in Biology and Chemistry Minor. He is working for Chiquita Brands as an analyst and he is a banana enthusiast. 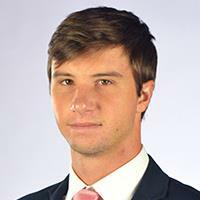 Joel is currently a student in the Financial Analyst Program at Florida Atlantic University. Afterwards, he plans on obtaining his Chartered Financial Analyst designation and continue to unravel the art of stock valuation. David Bicknell is native to Boca Raton, FL. He is currently pursuing his Master of Science in Finance (MSF) degree at Florida Atlantic University, while also participating in the Financial Analyst Program. 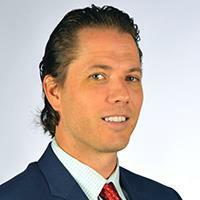 He holds a Bachelor’s Degree in Economics and worked as a Financial Consultant prior to attending FAU. David plans on sitting for the Chartered Financial Analyst designation this upcoming year, and plan on continuing a career in the financial services industry. Allison obtained a Bachelors of Business Administration with a concentration in Finance from Florida Atlantic University. As an undergraduate, she was an intern at Morgan Stanley and completed additional coursework in data analytics and visualization. Currently enrolled in the Masters of Science in Finance program, she will graduate in Fall of 2017. 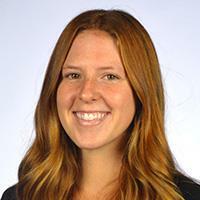 Upon joining the Financial Analyst program, Allison was selected to be a member of the CFA Institute Research team. She is a wealth management intern at Oppenheimer & Co. Inc. and will be pursing the CFA designation. 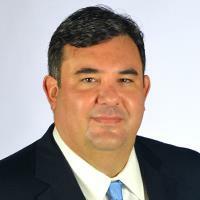 Esteban Hernandez is an Independent Wealth Advisor at WealthSource Partners with a passion for helping individuals and families navigate the ongoing process of wealth management in a disciplined manner. Through focused listening and strategic planning, Esteban identifies a client’s tolerance for risk while capturing their long- and short-term goals. In addition to providing valued insight on today’s ever-changing market, he strives to build investment plans and strategies that will help clients preserve and grow capital according to their objectives. Before beginning his career in the financial services industry, Esteban was a member of the United States Marine Corps and is a proud veteran of Operation Enduring Freedom. 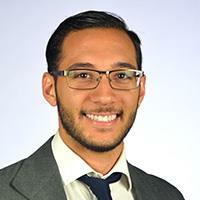 Esteban started his career in the financial services industry in January of 2005 and has worked as a Financial Advisor at Morgan Stanley and BB&T Scott & Stringfellow prior to joining WealthSource Partners. Esteban resides in Boca Raton, Florida. He is also a Teaching Assistant at Florida Atlantic University where he is currently working towards a Master of Science degree in Finance. In addition to his love of education and his desire to help empower people to make informed investment decisions, Esteban devotes time volunteering as a youth basketball coach for the YMCA, for which he has a profound passion, and providing free consulting services to the Family Readiness Team – Alpha Unit, Inc., a non-profit organization which provides support services to the children of military families. A South Florida native, Justin Horne is an undergrad, currently pursuing a double major Major in Finance and Communications from FAU. Justin has a depth of experience in several industries. His breadth of professional achievements span from becoming the youngest sales associate in the nation with Tiffany & Co. to holding a real estate license in two states; running the sales, marketing, and operations of a real estate development company. Today, Justin works with Noble financial Capital Markets in support of their Investment Banking arm and manages a modest personal financial portfolio. Justin joined the Financial Analyst Program to begin to build a base of knowledge of the skills of the trade in the Finance industry. After his undergraduate graduation next year, Justin will pursue a career in equity research. He intends to sit for the chartered financial analyst exam in the spring. 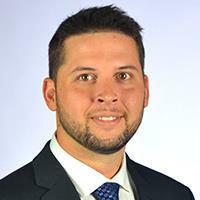 Adrian Isely is currently seeking a Bachelor’s degree at Florida Atlantic University. He is pursuing a double major in Finance and International Business & Trade. His interest in finance arose during his junior year when he became enveloped in constantly learning and reading about occurring global events. Adrian is participating in the Financial Analyst Program at FAU where he aspires to gain a greater understanding of finance and equity valuation. After Adrian graduates in December 2016, he intends to complete a Chartered Financial Analyst designation and seek employment in the finance industry. 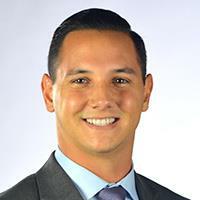 Daniel Knapp received his undergraduate degree from Florida Atlantic University with a Bachelor’s of Science in Finance and a minor in Economics. 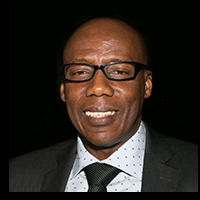 He is currently employed by Franklyn Financial Group, a commodity firm focused on creating derivative strategies. Born and raised in South Florida, he intends to graduate the Financial Analyst Program and pursue the Chartered Financial Analyst certification to compete in the Florida’s finance industry and pursue a career in M&A. Amelia Michaels is a senior at Florida Atlantic University where she is currently pursuing a Bachelor’s Degree in Finance. During her college career she has completed an internship with the Lupus Foundation of America. Amelia also served as the Senior Vice President of the Zeta Phi chapter of Delta Sigma Pi, a professional business fraternity. She will be completing her last two semesters while simultaneously participating in the Financial Analyst Program, and is expected to graduate in May of 2017. Amelia was chosen to represent FAU in this years CFA challenge and looks forward to the opportunity to advance her valuation skills. 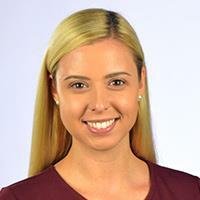 Amelia aspires to become a financial analyst upon her graduation from Florida Atlantic University. 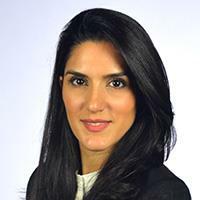 Maryam Mohajer moved to Florida after successfully gaining 6 years of experience as a commercial and residential realtor in Dubai, United Arab Emirates. She then continued her Real Estate career at Coldwell Banker in the capacity of Broker Associate. Soon after, she was awarded the prestigious title of Previews International Property Specialist, a title that only a select number of realtors will gain in their lifetime. Maryam is currently working towards her MBA at Florida Atlantic University, expecting to graduate in May 2017. In summer 2016, Maryam decided to pursue her passion for finance by applying for the Financial Analyst Program at FAU. As of September 2016, she has been actively attending the weekly FAP classes, gaining new expertise in the field of finance, while benefiting from real-world experience of various guest speakers and high-ranking business professionals. Maryam believes that upon the completion of her MBA with a concentration in Finance, along with the FAP Certificate, and her strong work ethics, she will be equipped with the best possible tools to tackle today’s challenging and expanding financial market in the years to come. Born in Biarritz, France, Andrei graduated from high school at the age of 16 due to exceptional scholar accomplishments and decided to come to the United States after being offered a full scholarship to play division I tennis at Florida Atlantic University. He is currently in his final year pursuing a Bachelor of Business Administration in Finance and is expected to graduate with Honors in May 2017. Andrei joined the Financial Analyst Program to strengthen his analytical and financial skills as well as increase his competitiveness in the job market upon graduation. He plans to stay in the United States and gain real world experience in the financial world as soon as he graduates with a special interest in hedge funds as well as merger and acquisition.